I have two daughters, one is a sophomore in high school and the other is a sophomore in college. Needless to say, they both work hard and live the student life. My youngest daughter sent me the image seen below. I would like to cite the source but I don't have one. If anyone does please send it along in the comments or use my Contact Me page and I will update the source. By the way, her favorite image is the “internet” face just to the left of 12:00 if you were looking at this image like a clock. 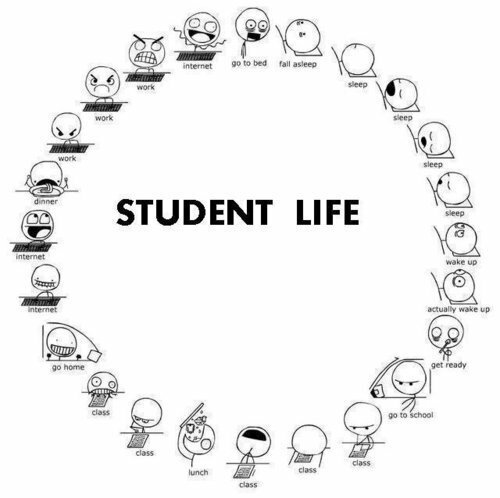 I thought that this cycle of student life was a whimsical and realistic view of the stark reality of being a student. Please feel free to share this image with your son,daughter, or fellow student. 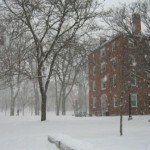 If you are a parent of a college freshman I hope the first year dealing with college separation anxiety, I hope it hasn't been real stressful for you or your child. If it has, you may want to read this post. I know that it is a trying time but it gets easier, believe me.